Any property you are considering renting or owning should be tested for meth residue. Meth “use” is on the rise across the country and actual meth labs are down. However, if meth has been smoked in a property, it is just as bad as if there was a lab on the property. Meth is odorless and does not leave behind any signs of its use. The only way to protect the ones you love and care about is to test any property to make sure it is clear of meth contamination. It appears more complex meth labs are are re-appearing back in the U.S. The drug is manufactured in different stages in multiple locations in order to make detection more difficult. This yet another reason you should be testing properties! There has been a transformation in the manufacturing of methamphetamine. This transformation from the customary meth lab to “shake n bake” has triggered an increase of meth ice and a decrease of labs around this area. Although total methamphetamine labs were down, there has been an increase of overall methamphetamine related charges of 9.74%. These statistics are from Jefferson County Missouri Sherriff’s Dept. just in 2016. Here is the hard evidence that METH has not gone away but is bigger than ever… This is why properties should be tested for meth prior to sale or rental. Call Traumatic Cleanup & Restoration for professional meth testing. Our certified methods will help to keep you, your family and your tenants safe. If your home, business or property was used to manufacture or smoke methamphetamine, state and local laws require you to have a certified contractor clean your property from meth contamination. Traumatic Cleanup & Restoration has for over 8 years provided testing, cleaning, post testing lab results and certification of decontamination certificates in Missouri and the surrounding midwestern states. 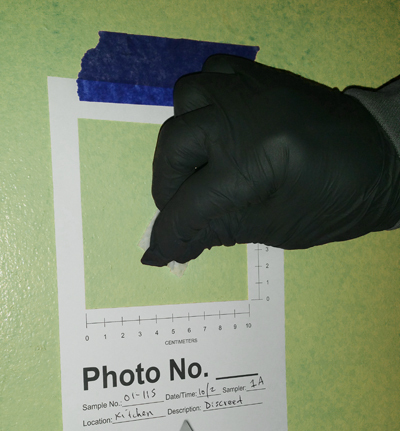 Below is a video of our post-test after decontaminating a property of meth residue. View KMOV’s story about meth use on the rise in the St. Louis metro east. Copyright © 2015 Traumatic Cleanup and Restoration LLC. All rights reserved.